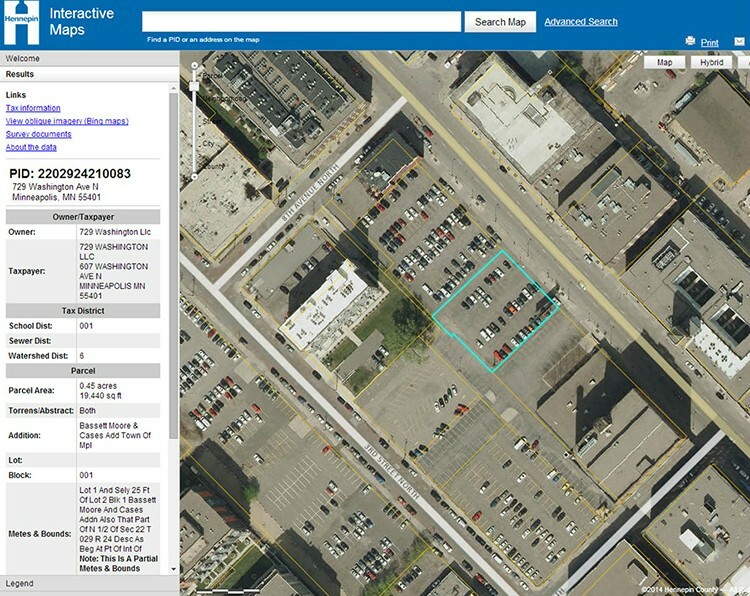 Greco, LLC intends to use an existing surface parking lot (from which all prior buildings were removed before 1923) as the site of a new mixed-use project that will include 50-60 market rate apartments and 7,000 to 10,000 square feet of retail space, along with an adjacent parking structure to support the residential units and the retail businesses. Grant funding, if awarded, would be used to complete and update previously conducted partial environmental site investigations and to prepare a Response Action Plan. I hope by adjacent they mean behind. ain't nobody got more time for another garage facing Washington. Nathan wrote: I hope by adjacent they mean behind. ain't nobody got more time for another garage facing Washington. Cosign like a mofo! When I walk my dog along Washington, I'm always thinking "I wonder why no one built on that space." This is the property next to bunkers, I assume? Hmm, I believe that is big enough for a Trader Joes. They must have an interested retailer, because Greco has said repeatedly that they thought the market was getting overbuilt and they wouldn't build any apartments for a while. Side note...When I looked at their project across the street when they were leasing, I commented on all the surface parking across the street...I meant it in a bad way, as in it is ugly...but the leasing agent was all "isn't that great? We own that and will never develop it so it can remain parking for the apartments". And I was all, "riiiight". Sounds like the biggest parcel of the three if my memory serves me. If there will be 10,000 sq feet of retail, I would imagine the parking is going to be in rear, or on level 2 or 3 with an entrance from the street. mnmike wrote: Hmm, I believe that is big enough for a Trader Joes. They must have an interested retailer, because Greco has said repeatedly that they thought the market was getting overbuilt and they wouldn't build any apartments for a while. Ha! They own Else, yeah? Funny enough, the leasing agent was hoping we didn't want parking when we looked at some units there because apparently they were on the verge of running out? I started to say "but what about across" and then left it alone. Just noticed these points, a hopeful sign that Greco is paying attention to the superblock problem in this neighborhood. This site is the one I favor for the (probably moribund) North Loop park, but if the plaza is a decent-sized and usable space, it would serve the public gathering purpose of a Washington-fronting park space. I'm assuming based on the claim that the project will "remove two surface parking lots" that the plaza would be built on what is now the parking lot for the Holden building. They said 11 stories too! Nathan wrote: They said 11 stories too! "10 story building will be first major development taller than 6 stories in the North Loop neighborhood in several years"
Whether 10 or 11 stories, it will be shorter than the Tractorworks building kitty corner, and likely won't be noticeably taller than nearby buildings like Tower Lofts or the Holden Buildings, which are around 90'. also, 50 2 bedroom units, that's definitely a step forward in getting units that will keep people in the area past their bachel(or/orette)ing. What do you mean by substantial? I think it would be hard for it to be as substantial as TractorWorks or Tower Lofts, not only in terms of sheer mass but also monumentality. Don't get me wrong, I'm optimistic 729 will be a good addition to the neighborhood, I'm just trying to indicate this neighborhood is not one in which a 10 story building will necessarily stand out. woofner wrote: What do you mean by substantial? I think it would be hard for it to be as substantial as TractorWorks or Tower Lofts, not only in terms of sheer mass but also monumentality. Don't get me wrong, I'm optimistic 729 will be a good addition to the neighborhood, I'm just trying to indicate this neighborhood is not one in which a 10 story building will necessarily stand out. substantial in longevity and use... substantial is not just a size term. it's not a sick built building and it says it's providing commercial space for services nit a high end restaurant which is good for the longevity of the building and the neighborhood. Cool those would have been some good details for your earlier post. woofner wrote: Cool those would have been some good details for your earlier post. Walking by the property yesterday, If the property includes all the parking from the Freehouse's parking lot to next door to bunkers that will be a very wide or long building. Do anyone know if this property is just fronting Washington, or does it go all the way back to 3rd? I'm also assuming that the parking may have a district parking affect for the area. The parking maybe hid at the back and below some of the residential floors with the retail facing Washington. There is a lot of footage fronting Washington. There could still a parking entrance on Washington, but the parking structure would be behind the retail portion of the structure. I'm also assuming that the residential parking will be underground and separate from the public parking. Also not sure if the alley could be vacated and used for parking entrances on 7th and 8th. Last edited by Wedgeguy on August 29th, 2014, 3:34 pm, edited 1 time in total. Wedgeguy wrote: Walking by the property yesterday, If the property includes all the parking from the Freeman's parking lot to next door to bunkers that will be a very wide or long building. Do anyone know if this property is just fronting Washington, or does it go all the way back to 3rd? The thing is Greco seems to have control of the other lots all the way to Bunkers along Washington. At least that is what the numbered signs would imply with Greco parking on their signs. So maybe 729 is the residential portion and the lots closer to Bunker's is where the parking ramp will go. Will have to see if anything goes before the city anytime soon. I would hope if there is a ramp that there would still be some retail fronting it along Washington as part of the ramp design. I can't see this as being a mega ramp design. More of a district parking ramp.